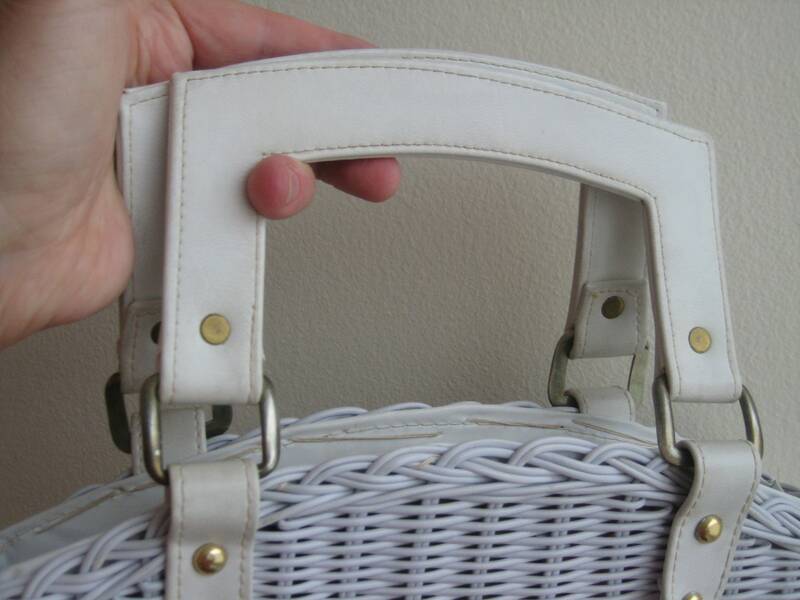 Cutest vinyl wicker handbag by Stylecraft Miami. 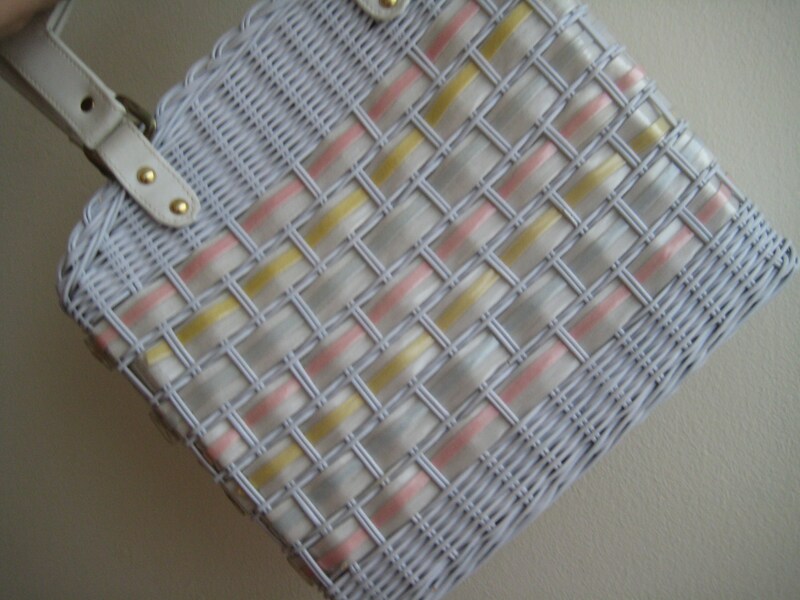 Original vintage white woven tote-style bag with pink and yellow ribbon woven round the body. Arched top. Vinyl leather double handles with a 3 inch drop. Gone tone metal grommet trim. 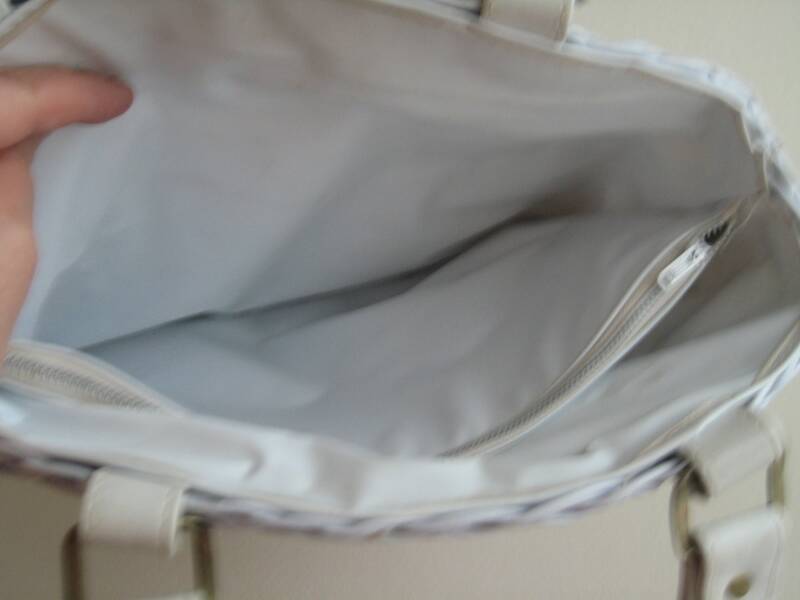 Interior is very clean vinyl lining with a center zippered insert. Made in Hong Kong Stylecraft label within the insert. 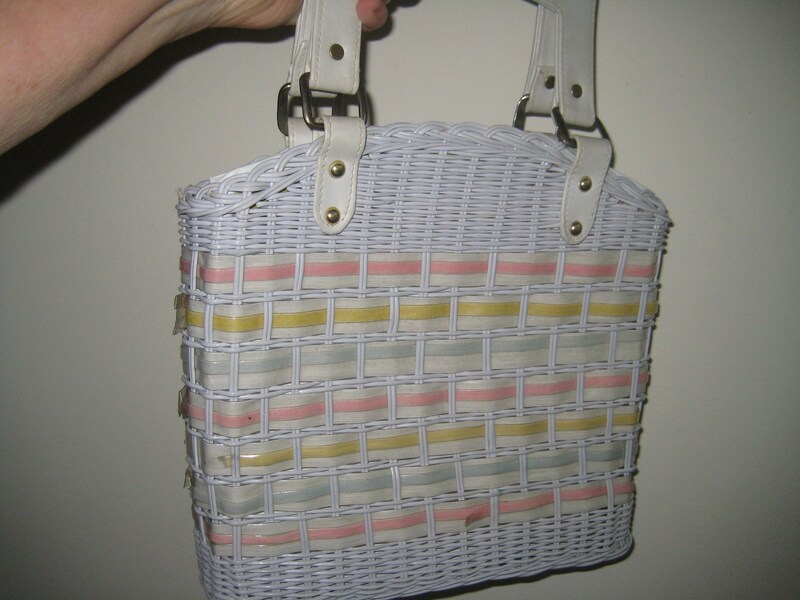 Super vintage condition. 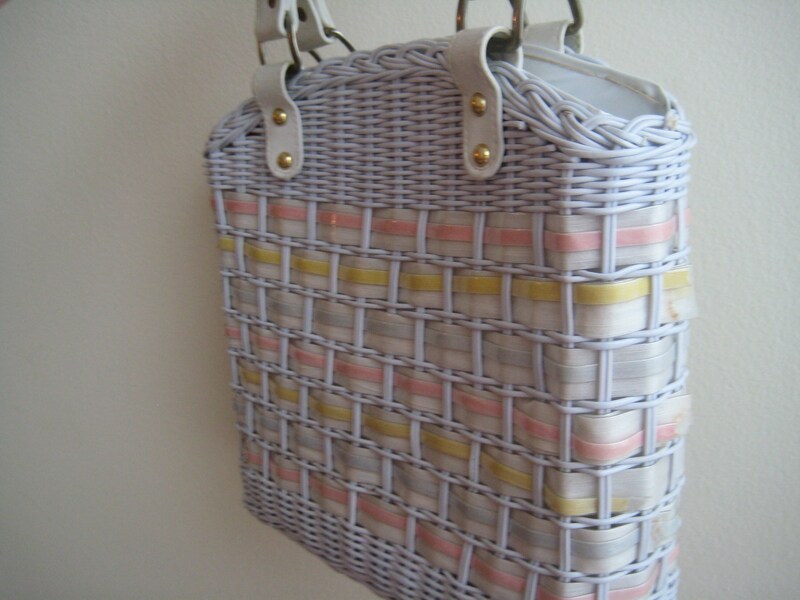 Dimensions: 11 inches long x 11 inches wide x 3 inches on the bottom. Roomy and summer ready!